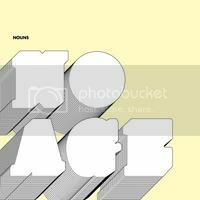 I be won’t quick to say that No Age’s Nouns is the best album of the year, but I do looooove No Age, therefore I’ll only say that Nouns is a pretty darn, fantastically superb album. This latest release by the LA duo is simply chock-full of lo-fi goodness; songs that visibly traces the outlines of punk-rock definitions. Despite that, the two piece are better known as an art/noise rock outfit owing to the super-thick, fuzzy distortions that never seem to leave any of their music. Most who are still new to the music of No Age might take a listen to the record and will most probably be left feeling confused, shocked, or even a little scared. I won’t lie to you, at first listen, it’ll probably give you the good old-fashioned headache initiated by the blaring noise of discordant music, heck probably even during the following subsequent listens. But truth is, its incredibly refreshing to hear something unpolished, stripped down of any grand production, left as it is, still sounding quite un-produced with edges still raw and all. Swathed in trebly noises, heavily distorted guitar riffs, and throbbing bass-less drum, after which is layered on generously on top of vocals buried so deep, that it also acts as another accompanying instrument. The real trick is to see past all those hazy, incongruous noise, and pay focus on the lovely melodies cleverly interwoven among all the clamors. You’ll probably soon realize that the fuzz and effects complement those mesmerizing harmonies, giving listeners something to contrast against. I like it, because it brings to mind the diy musical feel in garage-rock, although I know some will say, ‘But, this isn’t garage-rock, my dear...”, and I do realize that. 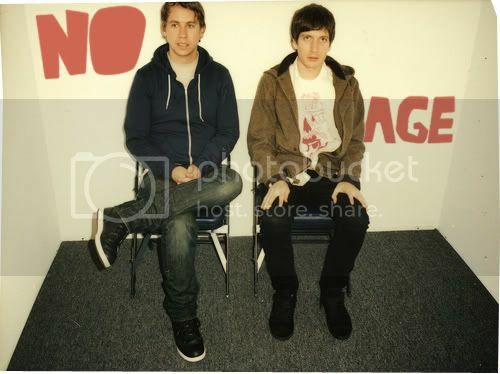 The music of No Age is more technical, more skilled, there’s more aesthetics, its more... ‘music’. Or something. "Eraser" is a summer song in the sweatiest, most realistic sense-- it's not the Beach Boys' gooey, über-idealized, convertibles-and-beach-volleyball version, it's the waiting-for-the-bus, sweaty and desperate but still-sorta-excited-about-all-that-sunshine take.